Chasing the Skip gets a re-release and a new title! - Fall Seven Times; Stand Up Eight. Today I am happy to announce the re-release of my first published novel, complete with a new (old) title and a brand new cover. 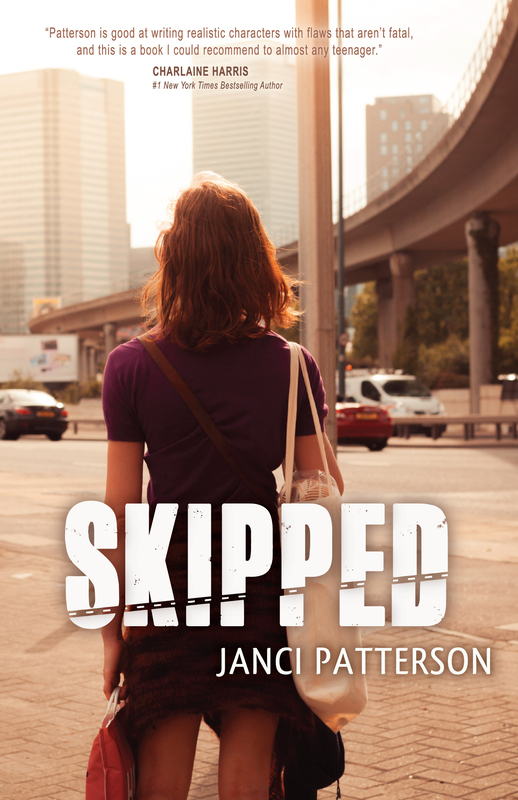 Skipped is actually the original title of the book, which was changed to Chasing the Skip by the marketing team at my publisher. I’ve always preferred Skipped because of the multiple meanings–Ricki, the main character was skipped out on by both her mother and her father, and to me, the title (and story!) was always mainly about her. Then of course there’s the skip she and dad are chasing, who plays a non-trivial role in Ricki’s arc. Plus, I’ve always thought the Chasing part of the title made the book sound a bit too much like romance, which it isn’t. More on this below. All of this meant that when it came time to do a new edition of the book, I decided to roll back to the original title, and I’m excited to finally get to release the book this way. As many of you know, publishers design covers, often with little to no input from authors, and they own the rights to those covers. Because my publisher wasn’t involved in this edition, the book had to have a new cover. I was excited about the opportunity, however, because I’d always wanted to put a cover on this book that looked more like a character story and less like a romance. (I love romance! Some of my books fall into this category! But this one doesn’t, so I worried I was disappointing readers who expected one thing from the cover and got something very different when they read the book.) This beautiful cover was designed by the amazing Melody Fender, and I think she did a great job expressing the tone of the book. Ah, the content. I changed very little when I was reformatting this book–if you’ve read it before, you might not even notice that anything is different. There were a few extraneous dialogue tags that I cleaned up in layout, but that’s about it. I went through the book and removed all of the more offensive swear words, doing my best to express the same sentiment in other language. Let me go on record that I don’t have a problem with swear words in books, especially when they’re used sparingly and to good effect. I still think that the way I used those words in this book was artistically legitimate. When you’re writing about fugitives running from the law, their language is probably not in reality going to be squeaky clean, and I think that’s okay, because it’s an expression of character. However. After I released the first edition of this book, it became clear to me that many people did not agree with me. Which was their prerogative–I know I can’t please everyone, and I’d be foolish to try. But I received several emails from people who loved (loved!) my book, but told me that while they wanted to recommend it to others, they couldn’t because of the language content. That really hit home to me. Artistically legitimate or not, it’s not worth it to me to include heavy swear words if they offend my audience to the point that my books can’t spread by word of mouth. I had some tough conversations with myself about whether my choices were the right ones. And I decided that, for me, they weren’t. It’s been years since I made that decision, but it’s taken this long for me to have the opportunity to correct the problem. In the meantime, while my other books still contain mild swear words, I’ve steered away from the harder ones, choosing other language to reflect the same sentiment. And now, I’m happy to finally be able to correct the problem in this book. And I’m happy to say that I don’t think altering the language in those two or three places in the story hurt the narrative any. I’m just as proud of this version as I was of the last one. And if you’ve been avoiding telling people about this book because of the content, please. Spread the word.